​Enrollment is open all year for all classes! Looking for Piano Lessons or Music Classes? 1. Music Lessons for All Ages! Offering Early Childhood Music Classes for ages 4 months – 6 years, as well as Private Piano Lessons for age 6-adult. This means that I have just the class or lesson that will fit your needs! All ages and levels are welcome. Research has shown that babies, from developing fetus to toddler, respond instinctively to music and benefit from it. They are born with a musical readiness that includes a basic sense of timing, beat and rhythm. As they naturally respond to music, infants and toddlers who are exposed regularly to music are shown to concentrate and learn more quickly. They demonstrate advanced verbal skills, increased vocabulary and better coordination than those children without music. Everything learned in Music Class will better prepare your child for Private Lessons at a later date. If you would like to visit a class, just let me know and we will set that up! 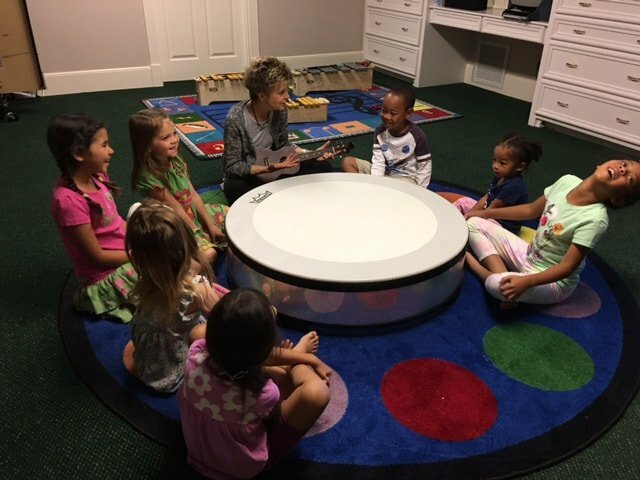 ​Our Early Childhood Music classes use the Music Rhapsody program developed by internationally renowned music educator, Lynn Kleiner. Each level has an accompanying age-appropriate Instrument Kit . Children love what is "theirs." Enrollment in the Early Childhood Music classes includes each child having their own instrument kit. It comes in a backback (with a cd) to take home and "practice." Moms say listening to the cd in the car is a favorite. 5. Private Piano Lessons for age 6 to adult. ​All beginners and all levels welcome. I strive to provide my students with the best training available – one based on relaxation, correct hand position, accurate music reading, theory, and a beautiful singing tone. Lessons are customized to meet the specific needs of each student. 6. A wide range of lesson times available! ​Mornings and Afternoons available. Call anytime! 7. A proven track record of excellence. ​Visit my testimonial page to see what my students and families are saying. Every year, aspiring music teachers start their own studio, and a year or two later it’s closed. 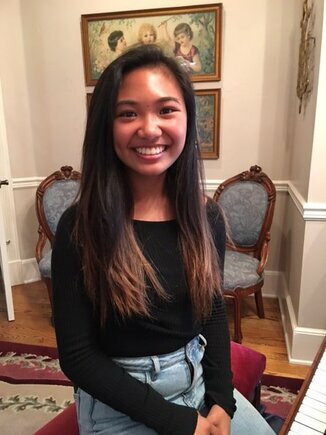 I have a proven track record of offering quality piano lessons and early childhood music classes in Redlands year round. My full time mission is teaching music; trusted by hundreds of families through the years. 8. A comfortable waiting room for parents. Enjoy a comfortable family-friendly waiting area while your children are in lessons or music class. If you prefer, you can sit in on the lessons anytime! 9. Conveniently located on Walnut Street in Redlands! Due to its central location near Interstate 10, my school is convenient and draws students from Redlands, Mentone, Calimesa, Yucaipa, Highland, Loma Linda, and Colton. I am easy to find, right near 5th Avenue in the Crafton area of Redlands. 10. Discounts for Multiple Members of your Household. I offer discounts when you enroll more than one member of your household. Missed a piano lesson? Out of town? No problem. Just sign up for make-up classes. They never expire, and you can come when it's convenient for you. 12. Month to Month Lessons Year Round! Lessons and classes are ongoing. You can begin anytime! Music Class or Private lesson! Offering quality Piano Lessons and Early Childhood Music classes in Redlands, CA. ​Loma Linda, Colton, and more.